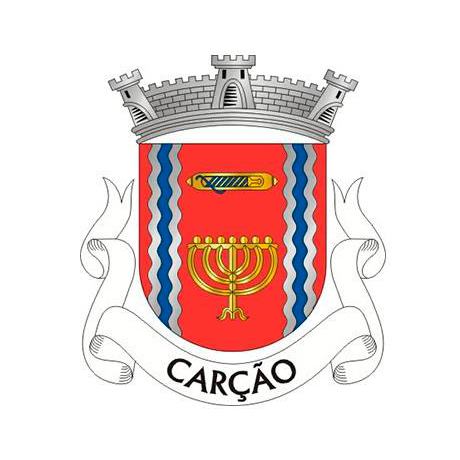 Carção is a small village of the municipality of Vimioso, often referred to as the Capital of Marranism. In the 17th century, the Inquisition focused on this village and arrested 130 people, a total close to 400 residents. No other town, small or large, has ever been so heavily devastated by the religious court. Of those arrested, 18 eventually burned to death in act of faith (public ceremony in which the Inquisition pronounced judgment and passed sentence on those tried as heretics). This attack to Carção was so violent that Father António Vieira (1608-1697) says that this must have been a community almost exclusively made up of New Christians (descendants of Jews forcibly converted in 1497). However, despite this tremendous devastation, the “marranos” (pejorative term of Spanish origin, meaning Jews forced to convert to Christianity, but who professed the Jewish faith secretly) of Carção revealed an extraordinary resilience to the Inquisition. They have even steel the sambenitos (ritual robe used in acts of faith) from the main church from the dead from Inquisition, which this Court ordered to hang as an example. The village was marked when Francisco Mendes was sentenced to death in 1651, for murdering Gaspar Gonçalves, judge of Carção, and for having destroyed an image of Crucified Christ. To pay tribute to the memory of this act, a large gravestone was erected in the place of his residence with the crime report. Even today, you can still see this gravestone in the village, embedded in the gazebo. In the 19th century, the Catholic authorities became aware of how Jewish practice flourished now without the Inquisition. The Abbot of Baçal, researcher of early 20th century, witnessed also the religious experience of this community. The population of the village only recently split between the farmers, Christians, and Jews, merchants or traders. The Jewish population evolved over the centuries in this religious identity “marrana”, hidden because of the persecution. There is still the memory and description of religious ceremonies that were celebrated in private homes and in the Christian Chapel of Saint Stephen named dried masses, or as they celebrated the Kippur feast with a pilgrimage to the vineyards. 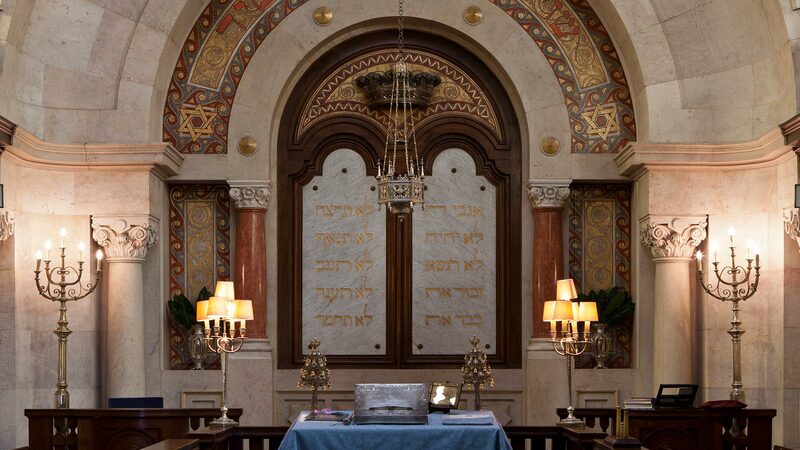 Materializing this heritage, after 500 years of the expulsion of Jews and later forced conversion (1497), the Government's own organs of the parish decided to adopt a Menorah (7-armed lampstand) as the largest symbol of their flag, to embrace their “marrana” identity. The construction of the Carção Jewish Museum is a tribute to this village.